As you guys probably know that lip butters are very much loved! I really did try to ignore them when they came out because I knew if I get one I would want more because of my lipstick love but I gave in, even if it was after months! After all that resist I finally bought two of my favorite shades tutti frutti and sweet tart. These look gorgeous! I love the packageing and how the lid is almost the same shade as the product. Obviously an attraction for me especially because of the colour range too. I love bright bold colours and thats why I picked out these two. These glide on so smoothly and are so soft and quite glossy too. The formula is very sheer in my opinion and is pretty moisturising too; great for the lipstick/lipbalm/lipgloss hybrid. These last for a total of 2 hours on my lips which is pretty disappointing but I have noticed that it leaves a stain on your lips especially these two colours. Make sure you have used a lip scrub before applying these as these emphasis the dryness on your lips quite a lot. Considering these two cons I still love these and I reach for these so much because of the final result! I like the pigmentation of these two quite a lot but I have heard that the colour payoff does vary in other shades. The total amount of product that you get is pretty less in my opinion compared to an average lipstick. I have a feeling that these will melt if you leave them in your handbag etc as they are so soft. Did I mention I love the names? 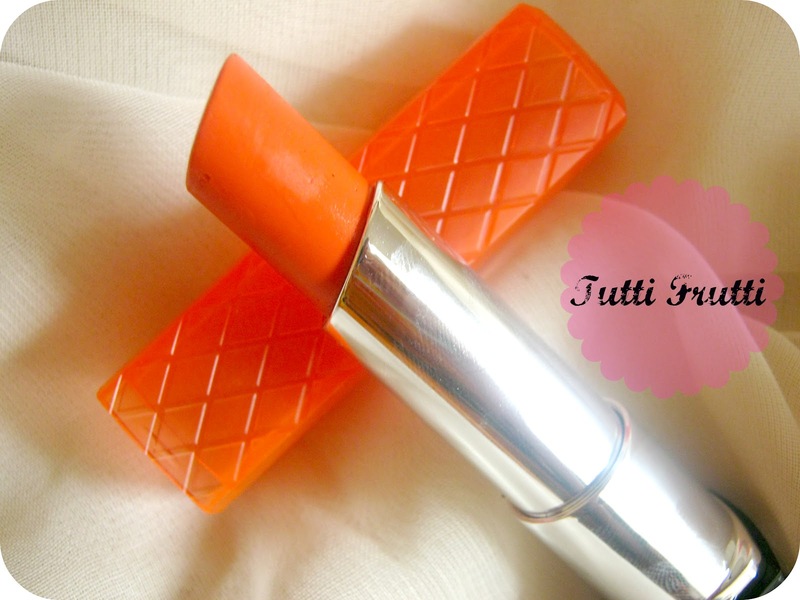 I loved this shade the first time I ever saw it and particularly because any lip product with a orange/peach tinge to it suits my complexion. This is perfct for this summer time. I bought sweet tart thinking I won't love this more that tutti frutti but I actually reach for this more! It screams Barbie for me! It's a gorgeous bright pink and I literally have to dab this on as it's slight too bright for me. Have you used any lip butters? Bet you have! I love sweet tart, they're so good! But the prices are a bit much, I picked up three on buyapowa and now have a spare sweet tart. I have ordered some of these and I am waiting for them to arrive, tutti frutti is one of them! This made me even more excited hehe!